Originally from New England, Fred studied music at Hampshire College and Berklee College of Music, where his teachers included Jaki Byard, Vishnu Wood, and Charlie Banacos. He founded the Seattle salsa band Bochinche in 1983, which reigned as The Northwest's favorite Salsa band throughout the 1980's, and produced the band’s first album in 1985. After Bochinche, Fred toured nationally with the West African band, Kukrudu, and founded the Seattle based Afro-Cuban jazz band, Sonando, whose 1994, 1998 & 2006 releases received critical acclaim throughout the country. Sonando received The Earshot Golden Ear Award for Best Acoustic Jazz Band of 2007, and was featured in a cover story in the November 2008 issue of Earshot Jazz Magazine. Fred has performed with a long list of Northwest Latin Bands including Expresión Latina, Yerbabuena, The Puentes Brothers, Cambalache, Charanga Danzón, Sexteto Tradicuba, and Grupo Son. In 1993, he was commissioned by The City Cantabile Choir to arrange a suite for choir and Latin Jazz Ensemble. He has received grants and awards from Northwest Folklife, The Seattle Arts Commission, and 4Culture for educational programs and composition in 1996, 1998, 2009, 2011, 2014 & 2016. His “Afro-Cuban tribute to Charles Mingus”, supported by a grant from the Seattle Office of Arts & Cultural Affairs, premiered at Seattle's Town Hall in 2011 as part of the Earshot Jazz Festival. His love of latin music brought him to Cuba in 1983, 1990, 1993, and 1996, where he studied piano and arranging with César “Pupy” Pedroso and Nelson Diaz, and Cuban tres guitar with Antonio Perez and Guillermo “Boulet” Matalear. He currently plays piano and tres in Sonando, The Fred Hoadley Trio, Alma y Azucar and Buena Vibra. 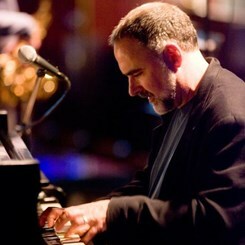 He also teaches piano, tres and Afro-Cuban Jazz ensemble at Musicworks Northwest and The Music Center of the Northwest. Request Lessons with Fred Hoadley today!